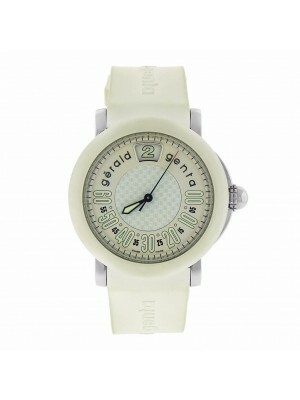 Buy pre-owned Gerald Genta watches at the affordable price! Charles Gerald Genta was a famous Swiss jeweler and watchmaker known for his collaboration with such popular brands as Audemars Piguet, IWC, Patek Philippe, and others. 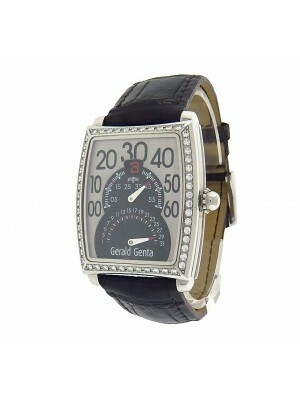 Gerald Genta was considered the acknowledged expert in the watchmaking industry. Gerald Genta’s career started when he was a 20-year-old graduate of jewelry and goldsmith Swiss courses. The first place of employment in his service record was “Universal Genève SA” – a well-known watch-making factory of that period. The very first timepiece by Gerald Genta was “Polerouter Microtors” manufactured under the trademark of this Swiss factory. Later he created the “Shadows.” This timepiece had two variants – white and golden. Both “Shadows” had micro-rotors – the innovation of the watchmaking industry of that period. Gerald Genta opened his own watch manufacture only in 1969. 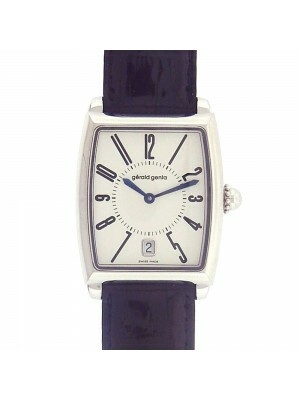 The very first creations under this brand name were “Sonneries” – the exclusive collection of wristwatches with bells. The timepieces from this collection were in high demand among collectors. The real hit of the “Sonneries” collection was “Grande Sonnerie Retro” released in 1994. This timepiece was considered the most complicated wristwatch in the whole world due to the presence of tourbillion. The amazing talent of Gerald Genta to combine complexity and elegance with high-end quality was reflected in a great number of different timepieces. 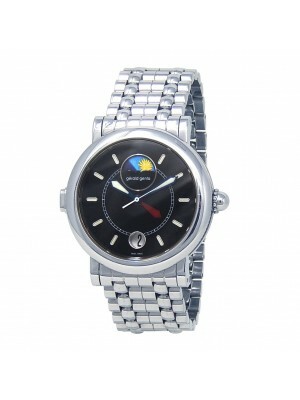 The Gerald Genta brand was purchased by Bulgari in 1999. However, its history wasn’t finished. Nowadays, this company is an integral part of a big French conglomerate, and all Gerald Genta watches are released under the “Louis Vuitton–Moët–Hennessy trademark. Pre-owned Gerald Genta watches are highly appreciated among the connoisseurs of the watchmaking art as well. 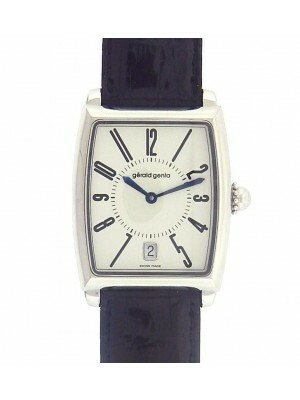 For example, one of the popular models was a unisex “Gerald Genta Gefica” watch model. 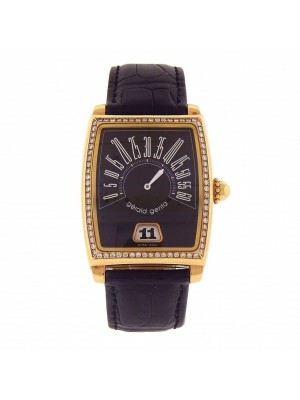 The 40mm case is made of pure 18k yellow gold. 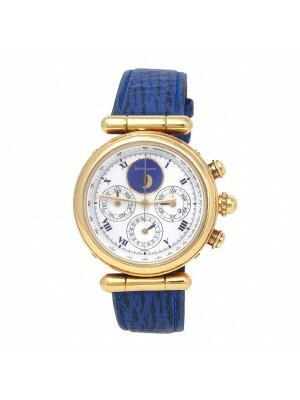 The dial is coated with blue lapis and has gold hour and minute hands, and hour markers. Moreover, the dial is equipped with four sub-dials having additional functions of a perpetual calendar and a moon phase calendar. They are placed at 3, 6, 9, and 12 o’clock correspondingly. The sub-dial at 3 o’clock shows the date. The next one at 6 o’clock serves as a 24-hour AM/PM indicator. The third sub-dial at 9 o’clock shows the day of the week, and the last one – the phase of the Moon. 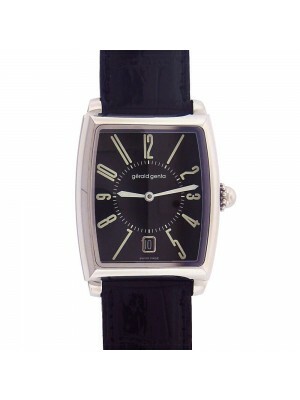 This timepiece has water resistance up to 30 meters to protect the quartz clock mechanism, which guarantees precision. This model is still inspiring many watchmakers all over the world. 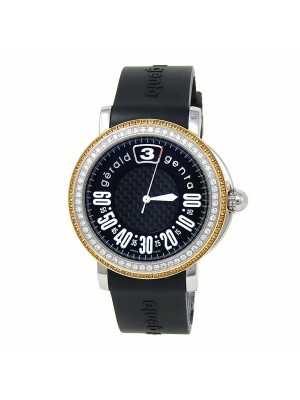 Gerald Genta was also known as the watchmaker of timepieces for women . One of the most requested female models was the“Gerald Genta Boutique Model.” It has an unusual bracelet wider than the case itself. Moreover, the whole bracelet made of 18k yellow gold is encrusted with diamonds. The total weight of them is approximately 46 carats. This unique model expresses real luxury! Another piece of luxury for ladies was the next version of the same model. It was made of 18k yellow gold, encrusted with 28 carats of diamonds as well. The main difference between this version and the previous one was the position of diamonds. The diamonds of the second version were set in the form of squares. However, this detail gave ever more elegance to this timepiece. 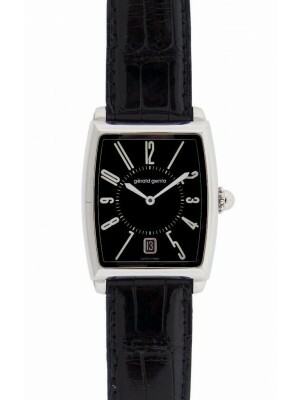 Buy one of the astonishing Gerald Genta watches at Midtown Watch - the prices are pleasantly low!